Prison records are a good find for genealogists. 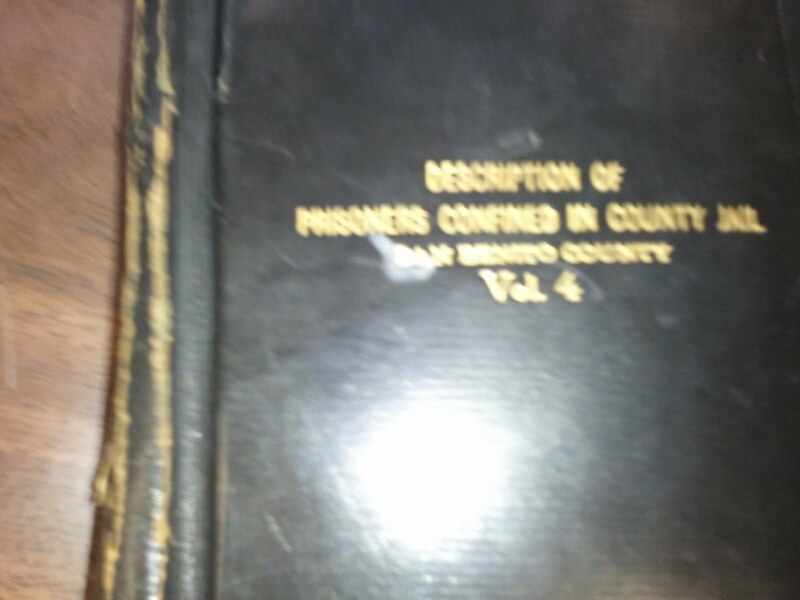 Have you searched for the county prison inmate books to find your allusive ancestor? Have you scoured state prison records or have you dismissed the possibility that your ancestor was a common burglar, thief, or menace to society? 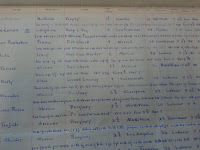 Historical prison records are accessible to the public, as are criminal records. 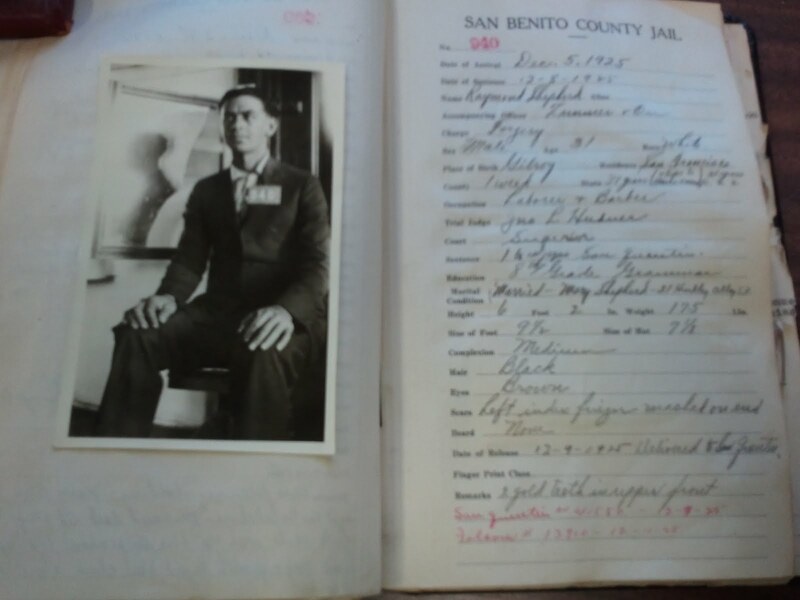 I recently discovered a series of California prison books ensconced in the San Benito County Historical Society collection. As researchers we often reference the Prison of War records, but the premise is that this imprisonment by the enemy was due to war conflict. Our ancestor wasn't a criminal after all! Some researchers have found their ancestor's buried in the US Federal Penitentiary Inmate Case Files, but that often gives the family a conversation piece on their "infamous ancestor." But let's not forget the city, county, and state prison records. Who knew such a treasure could be found in Hollister, California? This small repository is a gold-mine! Partially hidden in a corner of the San Benito County Historical Society (SBCHS) was the "Description of Prisoners Confined in County Jail, San Benito County [series] Vol. 4, 1924." Yes, county, city and state prisons kept records of our (I mean your) ancestors. The best part of finding the convicted ancestor is the physical description, usually accompanied with the photo. Full names, occupations, criminal charge and notes are handed to the family researcher. High in the stacks was an oversized-dusty San Quentin "Description of Prisoners" book just waiting to be opened. 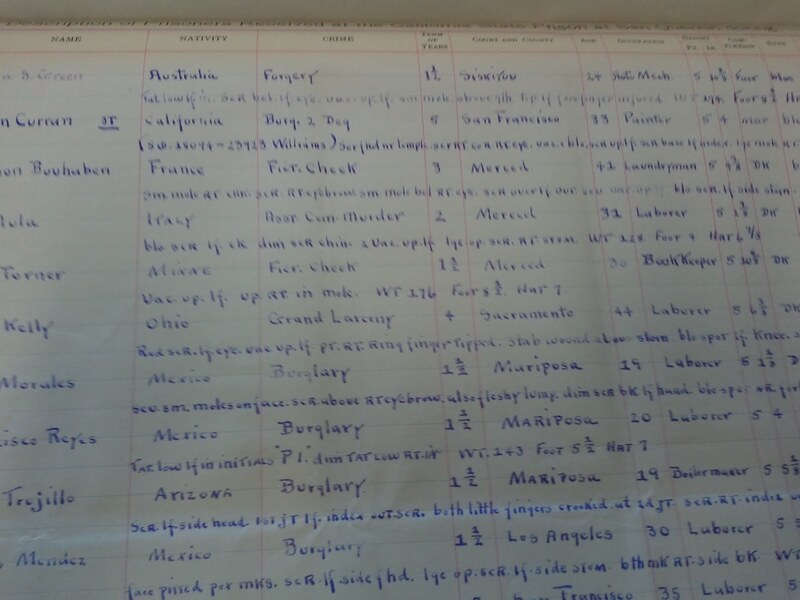 Again it was the Description of Prisoners Received at the California State Prison of San Quentin Feb 1915 ledger that provided a sketch of each person incarcerated. What a great place to confirm your ancestor's "Nativity." The "Term of Years" may answer the question of "why Uncle John was not with the family that year?" And although not always easily decipherable, distinguishing descriptions were noted for each prisoner - "sm mole RT CHK"= small mole right cheek.